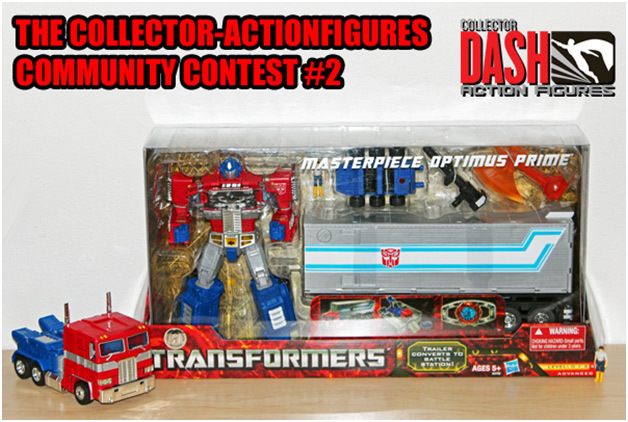 When it comes to contest prizes, they don't get much better than a brand new Transformers Masterpiece Optimus Prime. The figure is valued at $100, includes a bundle of extras, and is being given away to one lucky collector for free by Collector-ActionFigures. Hatfield, PA, October 2012 – K'NEX, the only US construction toy company focused on Building Worlds Kids Love™, announced its tenth in a series of twelve contests, Mission: K'NEX 20 on 20, monthly "hunts" for secret codes on various K'NEX related web pages. 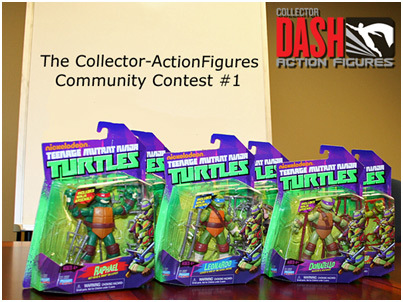 Collector-ActionFigures is giving away a big lot of brand new Teenage Mutant Ninja Turtles action figures, and it only takes a few clicks to enter for your chance to win. September 2012 - Disney is holding a sweepstakes to help promote their upcoming Frankenweenie film. The grand prize is a trip to Disneyland for you and three guests. The other prizes are autographed movie posters. Transcripted is a mixture of two incredibly addictive and vastly popular casual gaming styles: the twin-stick shooter and the chain match-three puzzle game. In Transcripted players must take control of a robotic Nano Probe and successfully navigate through hordes of deadly pathogens to destroy an invading disease's pseudo-DNA as it twines perilously on its endless path to infection. September 13, 2012 - DC has a new contest online, The Comic Book Completionists' Sweepstakes. Grand Prize will consist of one (1) of each of the following items (hereinafter referred to as the "Grand Prize"). A full set of the September 2012 DC Comics titles ZERO (#0) issues, and a DC Comics: The New 52 Omnibus in hardcover. Approximate Retail Value ("ARV") of the Grand Prize: one hundred and sixty-five dollars and no cents ($165). Enter for your chance to win an iPad3! Hatfield, PA – September 2012 – K'NEX Brands, the only US construction toy company focused on Building Worlds Kids Love™, is pleased to announce the launch of K'NEX'S "Win an iPad3" Sweepstakes. From September 12, 2012 at 9:00 am EST through September 27, 2012 at 3:59pm EST, K'NEX fans can enter for their chance to win an iPad3. Hatfield, PA, September 2012 – K'NEX, the only US construction toy company focused on Building Worlds Kids Love™, announced its ninth in a series of twelve contests, Mission: K'NEX 20 on 20, monthly "hunts" for secret codes on various K'NEX related web pages. Enter for your chance to win a $500 KNEX.com Shopping Spree! Hatfield, PA – August 2012 – K'NEX Brands, the only US construction toy company focused on Building Worlds Kids Love™, is pleased to announce the launch of K'NEX'S "Win a $500 knex.com Shopping Spree" Sweepstakes. From August 28, 2012 at 9:00 am EST through September 11, 2012 at 3:59pm EST, K'NEX fans can enter for their chance to win a $500 KNEX.com Shopping Spree.